Total existing home sales fell 6.4% to a seasonally adjusted rate of 4.99 million in December, according to the latest figures by the National Association of Realtors. Sales are at their lowest level since November 2015 and down 10.3% from a year ago (5.56 million in December 2017). NAHB economist Fan-Yu-Kuo provides more analysis in this Eye on Housing blog post. How are Jurisdictions Spending Your Impact Fees? Have you ever wondered if the impact fees your company is paying to various jurisdictions are going toward their intended purpose? Interestingly, they often are not. Over the last 30 years, the Development Planning & Financing Group Inc. (DPFG) has been working with NAHB, HBAs and various home building companies in reviewing, critiquing, and determining the overall fairness and equity of the impact fees proposed by associated jurisdictions. Over the last seven years, DPFG has conducted a number of in-depth audits of municipalities’ fee programs and we can now conclude greater transparency and oversight are needed related to the expenditure of fees. Most jurisdictions attempt to utilize fees for the intended purposes. 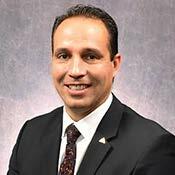 There does, however, appear to be an almost uniform disconnect between the departments that prepare the fee study (e.g., manager, public works and finance departments) and the departments and/or personnel that collect and expend impact fees (accounting and public works departments). Using fees to correct existing deficiencies. While reviewing a fee study, it was noted that federal and state authorities had cited a jurisdiction for not having sufficient fire stations. The jurisdiction was required by the authorities to use its own non-impact fee funds to construct a second fire station to adequately serve its existing population. During the peer review of the impact fee accounts, we discovered that the jurisdiction expended approximately $935,000 of impact fees it was collecting for fire stations 3, 4, and 5 for the construction of the second fire station. Using specific impact fees to fund non-authorized capital facilities. During a review of a jurisdiction’s water impact fee accounts, for which separate impact fees were being collected for water capacity and water distribution, DPFG uncovered that the jurisdiction had utilized $4.1 million collected for water distribution to finance water capacity projects. The same jurisdiction also expended approximately $2.2 million in impact fees specifically for sewage collection facilities to fund the wastewater treatment plant, for which it was collecting a separate fee. Using fees for the payment of non-capital assets. A jurisdiction funded more than $2.1 million in public works and park department salaries, payroll taxes, health insurance, vacation pay, overtime pay, and even retirement benefits. Fees were used to fund departmental office supplies, cellular service, travel, and meals. Using fees for the repair and maintenance of existing facilities. In another jurisdiction, approximately $218,000 in funds were used to repair and replace existing park facilities rather than to construct new park facilities. The city has agreed to replenish the funds taken from the fee accounts through their general fund. Most state impact fee statutes are vague and open to interpretation, which often leads to misuse. A possible solution is enacting impact-fee enabling legislation that outlines specific rules and guidelines for the estimation, collection, and expenditure of impact fees. This legislation should also provide a means for independent third parties knowledgeable in impact fees, public infrastructure, accounting and finance to audit the jurisdiction’s expenditure of impact fees. As a starting point, industry associations may want to consider a broader effort to implement more specific legislation related to the estimation, collection, and expenditure of impact fees. By providing more detailed guidelines and implementing regular peer reviews of fee accounts, both the public and private sectors can feel more confident that jurisdictions are utilizing impact fees for their intended purpose, which is to provide necessary infrastructure for new growth. Carter T. Froelich, CPA, is managing principal of the Southwest and Mountain Regions of Development Planning & Financing Group Inc. This post was adapted from an article in the Fall 2018 issue of Best in American Living. Read the full article here. Doing business for the past 15 years, Accent Outdoor Lighting creates outdoor lighting at its finest. 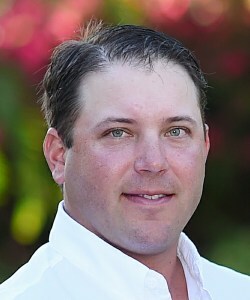 President Justin VanderVeen uses his professional experience in LED and low voltage landscape lighting to transform your home or business into a truly unique property. A property with professionally installed landscape lighting is more valuable and safer. A landscape lighting plan involves much more than just putting a light under a tree or near an entryway. Each fixture must be chosen to have the correct elements, beam spread, projection, location and wattage. The fixtures then need to be installed in conjunction with a design that will enhance your architecture and landscaping to the fullest extent. 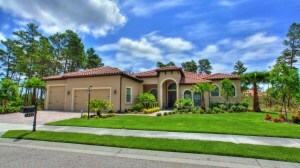 For more information on creating an innovative and unique landscape plan, visit www.AccentLightsFL.com or Call Justin at 321-303-9760. Andy Bader and Ed Montanez, owners of A&E Custom Homes, joined the HBCA of Brevard in 2015 to support the building industry and connect with other like minded professionals. Establishing A & E Custom Homes in 2008, Andy and Ed have stood by their belief that the best way to ensure the highest level of quality and craftsmanship, is to be on the job site ensuring homes are built to their standards. At A & E you can expect to have the old fashioned buyer/builder relationship. A & E Custom Homes maintains an attention to detail and quality that is unmatched in the industry. Homebuyers extend their faith and A & E delivers a topnotch home of the finest quality. A & E Custom Homes include many of the features that other builders consider as upgrades. Providing peace of mind, Mack Insurance Group has been in business for 25 years. 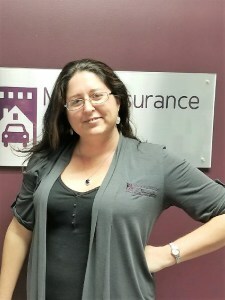 Tenille Perry, Personal Lines Account Manager of the Melbourne office, joined the HBCA of Brevard just shy of a year ago. The goal to connect with like minded building industry professionals and stay up to date on the building changes in Florida. Mack Insurance specializes in giving you peace of mind when it comes to protecting your assets, both personal and commercial, preserving your way of life. Many people pay for insurance policies but are never fully taught what they do or how they work. Clients of Mack Insurance Group understand how their hard earned money is protecting them, their families and their business. Mack Insurance Group represents over 100 insurance carriers, giving their clients a great coverage at a great price. After careful consideration and hours interviewing candidates, the HBCA Government Affairs committee has voted to endorse the following candidates running for political office. We encourage everyone to exercise your Right to Vote and do so either during Early Voting Period October 27 through November 3; absentee ballot or at your precinct from 7 am to 7 pm on November 6th. Click Here to visit the Supervisor of Elections website for polling information. The Florida Home Builders Political Action Committee (FHB PAC) endorses the above state cabinets for the primary races. The FHB PAC seeks to ensure a favorable environment for the home building industry. 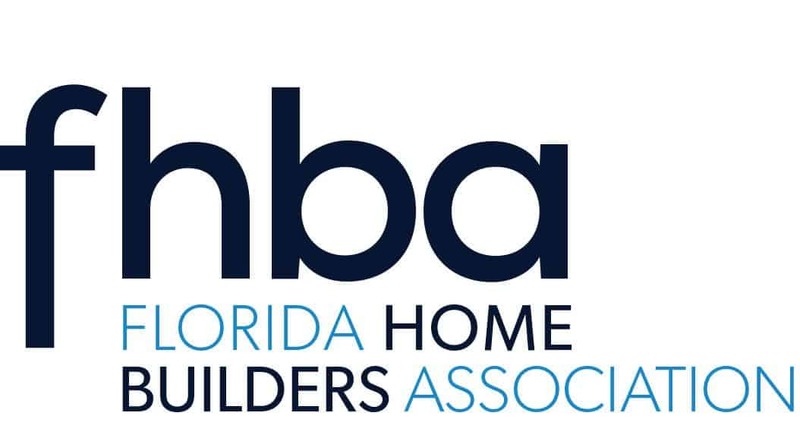 During the Florida Home Builders Leadership Conference the FHBA Board of Directors and Government Affairs leadership discussed and voted to Oppose Amendment 1, and voted to support Amendment 2. Both amendments impact the home building industry. Below is a summary of the amendments and FHBA’s position to help YOU decide. Summary: Proposing an amendment to the State Constitution to increase the homestead exemption by exempting the assessed valuation of homestead property greater than $100,000 and up to $125,000 for all levies other than school district levies. The amendment shall take effect January 1, 2019. Summary: Proposing an amendment to the State Constitution to permanently retain provisions currently in effect, which limit property tax assessment increases on specified nonhomestead real property, except for school district taxes, to 10 percent each year. If approved, the amendment removes the scheduled repeal of such provisions in 2019 and shall take effect January 1, 2019. “Permanently retaining the 10% limitation on tax increases for rental and other properties is good public policy,” said FHBA President, Bill Truex. “These provisions, which are already in effect, allow companies to use the savings on wages, capital investments and other business enhancement priorities. Voting to not continue the property tax cap would result in increased taxes, moving our economy backwards.